I've always felt the best, clearest way to get the pulse of any music era, and how they differ from each other, is to go straight to the sounds and styles dominating the pop charts and being pushed hardest by the recording industry at the time. Given that criteria, it's obvious that along with Hip Hop and EDM, we are in the middle of an R&B and Girl-Pop dominated era. This mix collects the 2017 hits and deep cuts from those last two genres I jived with best. 1. 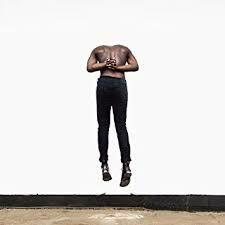 Don't Bother Calling - Moses Sumney: One of my favorite album's of 2017, we're only including one track from UCLA grad Sumney's Aromanticism because we featured the album's amazing lead single Lonely World in last year's collection. They don't come any mellower than this kid (who in full disclosure is friends with one of Nancy and I's favorite neighbor's daughter, who was classmate of Sumney's at UCLA), but at the same, I still think he's one of the most exciting up-and-comers in Alt-R&B, a mesmerizing live-performer with phenomenal production instincts and a strong experimental edge. Think Al Green channeling Radiohead's Thom Yorke and that gets you in the ballpark. 2. Homemade Dynamite - Lorde: As I stated in our Vol 1 - Best Of The Best mix, Lorde's Melodrama was my favorite contemporary pop album of 2017. I loved the production, I loved how much it pulled me into how much of a whirlwind her life was at the moment of the album's creation, and I loved Lorde's personal idiosyncrasies. This track, one of the better-reviewed singles of the year, captures her at her most idiosyncratic. 3. Pineapple Skies - Miguel: As with the many huge hits left off our rap mix, the most popular song from Miguel's War & Leisure, mega-hit Sky Walker, isn't here for the simple reason that I can't stand it. 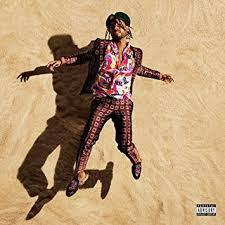 But the rest of War & Leisure, while not as collectively strong or Prince-like adventurous as Miguel's previous two full-length efforts Wildheart and Kaleidoscope Dream, still serves up several enjoyable tracks, none more so than the inviting Pineapple Skies included here. 4. 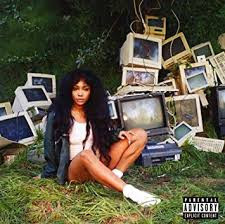 Love Galore - SZA: Probably my favorite female-fronted Alt-R&B album of the year, SZA's CNTL presents a immensely talented, turbulent young artist almost always at the edge of her tether. In fact, she comes off as such a unfiltered high-feeler (an impression behind the scenes tabloid press seem to confirm) that it's going to be interesting to see if she's able to withstand the pressures of the industry and make a career out of things, or self-destruct/disappear for long stretches D'Angelo / Lauryn Hill style. But just like those two mercurial artists, there is no denying her talent. 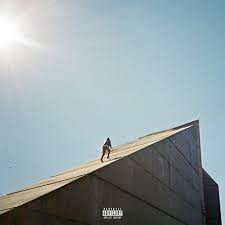 Though very raunchy at times, CTNL shows off such a talent for personal story telling and R&B melodicism that I can't wait to hear what SZA comes up with next (if something comes next). Love Galore was CNTL's biggest hit, and ironically, the only song other than Passionfruit on our contemporary pop mix that actually landed on Billboard's year-end Hot 100, a distinction that will be very important as we move on to our '77 hit parade mix Lujack Mornings later this week. 5. 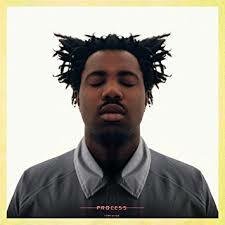 Blood On Me - Sampha: Another of 2017's best reviewed records, British producer/vocalist Sampha Sisay's Process, an album-long meditation on the loss of his mother to cancer, went on to win the 2017 Mercury Prize for the UK's best album. Blood On Me here is a bit of a cheat, as it was released ahead of the album as its lead single in 2016, but it remains Process's most spellbinding track (if not its most moving, that honor belongs to a song Nancy will spotlight in her upcoming 2017 mix). 6. 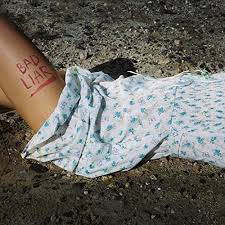 Bad Liar - Selena Gomez: Selena's had a rough go of it lately personally, but I feel this 2017 Psycho-Killer sampling number is her very best pop song to date. Hope she keeps at it. 7. Get It Together - Drake with Black Coffee and Jorja Smith: I've got such a love/hate relationship with Drake. One the plus side, I've enjoyed many of his tracks over the years, and I credit him, along with Kendrick, with spearheading a shift towards a more sensitive lyrical approach in the Hip Hop. On the minus side, he's one of the poorest live performers I've ever seen, putting on easily the worst and most mailed in Coachella headlining set I caught in my eleven years attending the festival, and I also blame him for being a primary influence on many of Hip Hop's lamest present-day production trends. That said -hypocrisy alert here - I feel the beats on Get It Together here (a collab with one of my favorite electronic producers of the day, South Africa's Black Coffee) and Passionfruit to come in a bit later in this mix, both taken from 2017's More Life, are two of the best R&B-anchored Hip Hop beats I heard in 2017. 8. 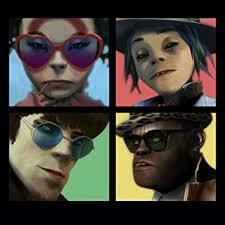 We Got The Power - Gorillaz with Jehnny Beth: We Got The Power almost didn't make this mix, as Humanz is without question the weakest of the Damon Albarn-led electro-soul collective's efforts under the Gorrilaz moniker. But after a too ballad-heavy first go at this mix, an uptempo boost was in order, and Savage's Jehnny Beth's guest-vocal turn on Humanz best song was just the shot of adrenal needed. 9. Deer Eyes - Lowly: Lowly, a young Danish pop quintet, could have just as easily landed on our Bedroom Pop mix, but this song, taken from their 2017 debut Heba, felt perfectly at home here. 10. Get You - Daniel Caesar with Kali Uchis: Arguably one the most popular R&B crooners in the world right now with today's high school and college-aged set, Get You is pulled from Caesar's well-received 2017 sophomore release Freudian. 11. Liability - Lorde: One of Melodrama's strengths, much like with SZA's CNTL, is just how deeply and sometimes brutally personal it gets. 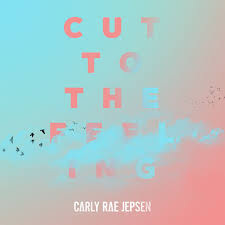 This track, where Lorde considers how her celebrity, though initially an attraction to others, ends up becoming an irritation and a burden to most she meets and hopes to befriend, cuts right to dark side of her experience with fame. 12. 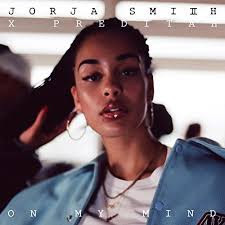 On My Mind - Jorja Smith: Winning 2017 single from super young (just turned 21) British singer-songwriter Smith, who already has a number of prominent featured vocalists turns on her resume, including collaborations with Stormzy, Kali Uchis, and as was featured a bit earlier in this mix, Drake. 13. 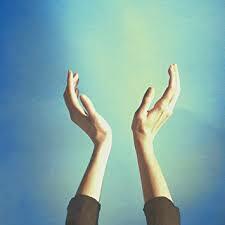 Clear From Far Away - Cults: Here's an delightfully upbeat pop number from New York based-indie act Cults, taken from their third album Offering. 14. Better - Kelela: One of the best reviewed albums in any genre in 2017, Kelela's Take Me Apart is Alt-R&B at its most cutting-edge hyper-produced. 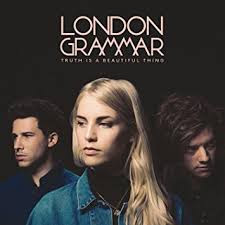 For me, though fascinating and loaded with solid songwriting and mesmerizing vocal overdubs, that production was too much too often for the album to fully earn my endorsement. 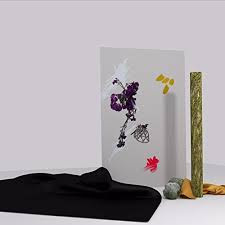 But in those moments when things calmed down, as on the album's simplest ballad Better profiled here, the results could be stunning. 15. Cut To The Feeling - Carly Rae Jepsen: One of 2017's biggest pop singles, Cut To The Feeling was originally intended for Jepsen's 2015 album Emotion, but was left out after being deemed too "cinematic!" That made the song available as soundtrack fodder for the French film Ballerina, where the it ultimately found its home. 16. 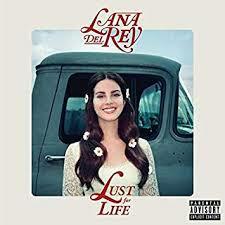 Love - Lana Del Rey: Those who know me well can imagine the silly anguish I experienced choosing Love over Coachella - Woodstock On My Mind from Del Rey's latest Lust For Life, but ultimately here, the better song won out over personal obsessions. 17. 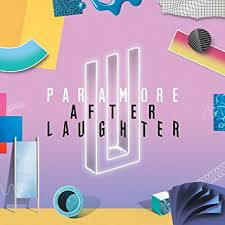 Hard Times - Paramore: After many line-up changes over the last twelve years, Tennessee punk-pop outfit Paramore returned in 2017 with the most pure pop effort of their career, After Laughter, which included what is probably my favorite female-fronted pop song of the year after Lorde's Green Light in Hard Times here. 18. 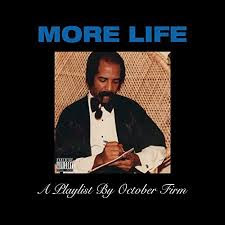 Passionfruit - Drake: And here's Passionfruit from More Life, justly to my ears one of the most popular Hip Hop songs of the year. 19. Bones Of Ribbon - London Grammar: If you like huge, epic, shake-you-to-the-bones, soul-stirring female voices, few come more potent today than that possessed by London Grammar's Hannah Reid, as is born out by this moving track from the English band's second album Truth Is A Beautiful Thing. 20. Prom - SZA: I had originally intended to include CNTL's lovely acoustic closer 20 Something in this mix as well, but ditched it after it became clear things were getting to ballad heavy. So in the end, had to settle for just two CNTL inclusions, Love Galore and my personal favorite from the album, the ultra-melodic Prom. 21. 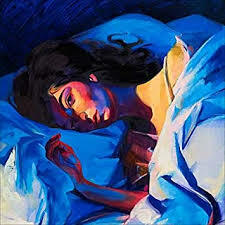 Supercut - Lorde: One more lively, upbeat number from Melodrama to close things out.